Mid-Vail-Top of Gondola One| Aug. 24, 2019 | 8 a.m.
Pre registration and bib pick up will be available from 3-6pm on Friday, August 23 at a location to be determined and communicated. Bib Pickup also available the morning of the race at the base of Gondola One from 6:30-7:30am. 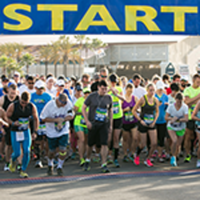 The 10@10 features both 5k and 10k trail running race distances to give everyone the opportunity to get out and race! Both races start at 8 a.m. at the top of the Gondola One at Mid-Vail on Vail Mountain, with both the 5k and 10k races taking place above 10,000 feet of elevation with the high point at nearly 11,000 feet. The average grade of the 10k is 7 percent with an elevation gain of 1,172 feet. Both races finish at Mid-Vail at the top of the mountain. Online pre-registration ends at 5pm on Friday, August 23. Day-of registration available at the base of the Gondola from 6:30 to 7:30am. Gondola One in Vail, which accesses Mid-Vail, is open for spectators to ride to the top for FREE from 7:00 a.m. – 8:00 a.m. Failure to load the gondola by 8:00am will make it so you will not be able to access Mid-Vail without paying a daily scenic ride ticket for $34. Dogs or other pets are not permitted to load the Gondola. Post-race, the gondola will be free for racers & spectators to download to Vail Village. Racers should park in the Vail Village or Lionshead Parking Structures where parking is free for the summer. 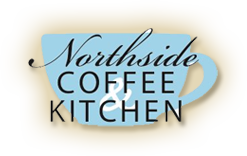 Thanks to our Racer Refuel sponsor, Northside Coffee & Kitchen, for providing nutritious, local and tasty fuel to help you recover from the grind of race day competition. Racer Refuel station will be located at Vail's Mountain Haus.